Orphan Evy wakes to find herself in a fairytale kingdom under threat from an evil witch. Monstrous creatures roam the land, from werewolves and evil rabbits to goblins and much, much worse. With the help of new friends and the magic of her special spheres, Evy must save the land. Match three or more spheres in endlessly-shifting chains to unlock her powers and defeat these vile creatures. 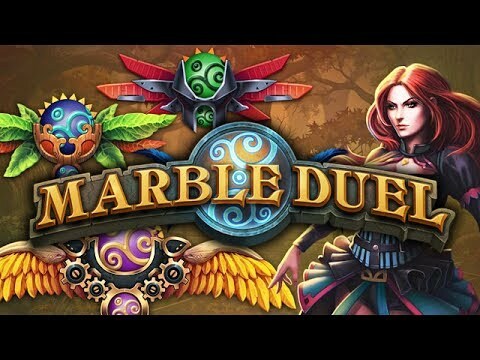 Featuring stunning hand-drawn art and a gripping plot with intriguing allies, Marble Duel brings a magnificent fairytale world to life.